This abundant backyard bird, the state bird of Connecticut, Michigan, and Wisconsin, is treasured for its song and its seemingly confiding way of nesting on our houses. Those are also the two factors that make them unpopular in some situations—robins start singing well before dawn when some people don’t appreciate being awakened, and when they nest near porches, they often dive-bomb perceived predators. But their lovely song and homey habits almost always offset any annoyance they might cause. 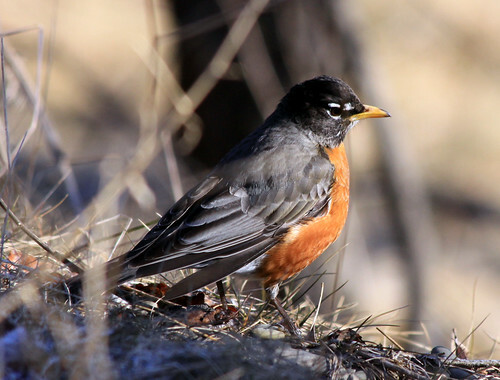 How do you distinguish between the first robin of spring and the last robin of winter? Laura explains on this blog post.